This game is based on the animated tv show. 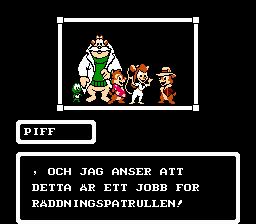 The Rescue Rangers must save Gadget from the evil Fat Cat. He plans to take over the town. 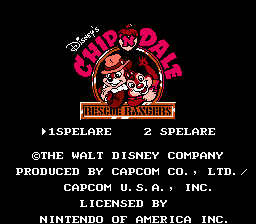 Guide the rangers through the city to save their friend. 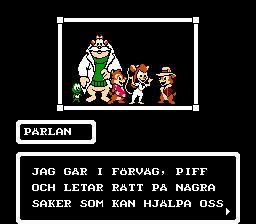 Another translation of this game. 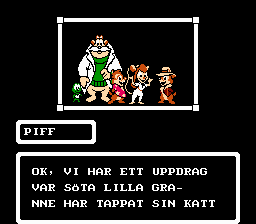 This has all the dialog translated, and as far as I know, the only thing not translated is the title screen.